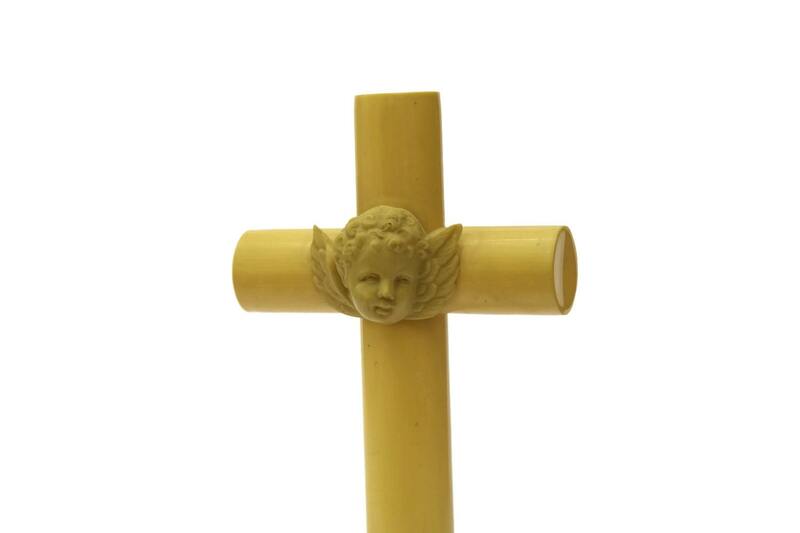 An antique French cherub crib protector crucifix dating to the early 1900's. 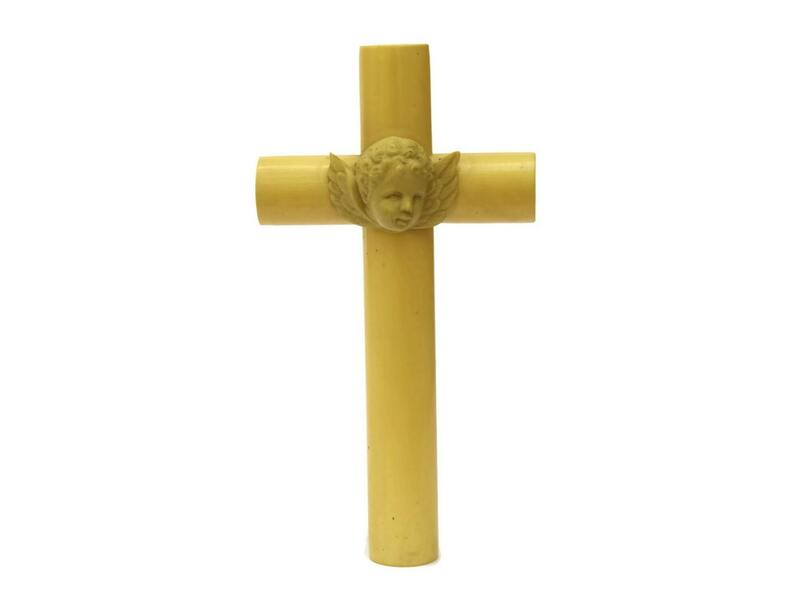 The religious cross is hollow and, as the cherub face, is made of antique cream colored celluloid. The guardian angel face is finely detailed. Crib protectors were gifted to the parents of newborns and attached to the crib to protect the newborn baby. 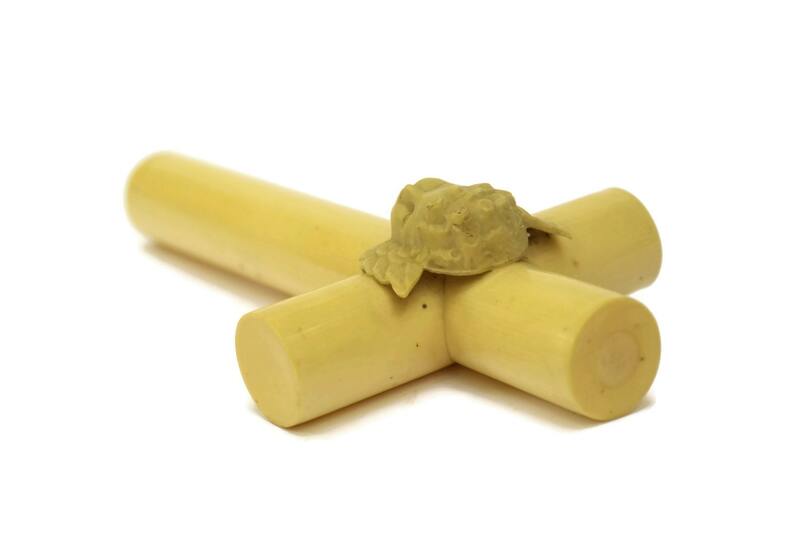 It will make a great baptism gift. 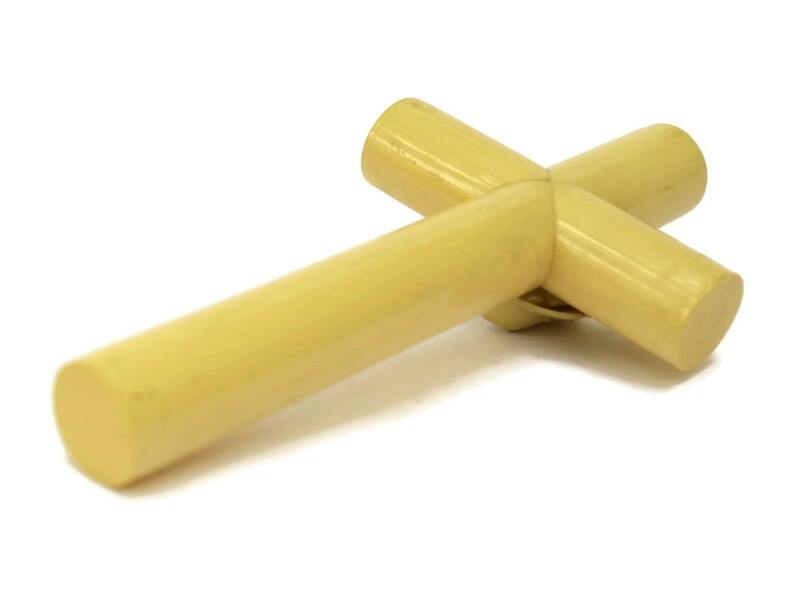 The celluloid cross measures 7" length (18 cm) and 3.75" (9,5 cm) width, with a diameter of 1" (2,5 cm). 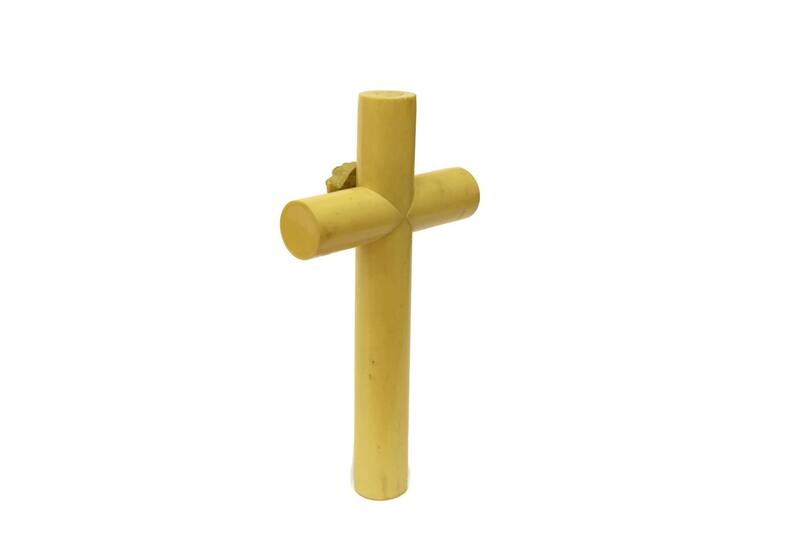 The crib cross is in very good condition. The original ring at the top is missing.